When I was a teenager, I remember rolling my eyes at the parents who would put ” DO NOT GIVE RED DYE” on the health forms for day camp. I thought it was hogwash. 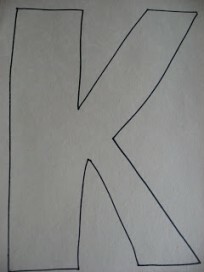 Funny how a few years of maturity, your own kids, and a big dose of respecting other people will change your attitude. My kids both react to red dye and I will never forget my parents (who thought I was nuts restricting it) falling all over themselves when they saw first hand how my then 3 year old son reacted after ingesting it. Do my kids get some food color? Yes, but it’s something I really try to avoid. 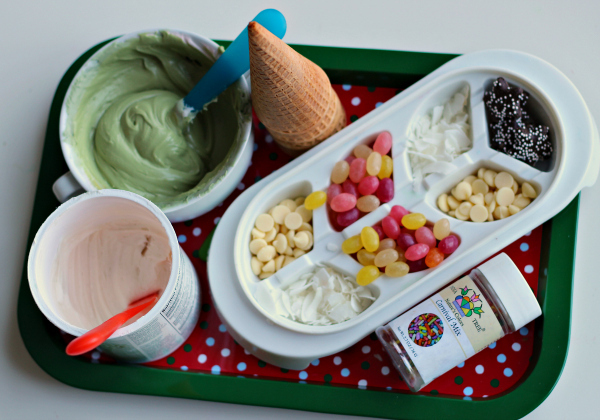 Not all kids have the same reaction but if you read this post Ten Things Everyone Should Know About Artificial Food Coloring by Megan over at Sorta Crunchy even if your kids don’t react to dye you will want to limit it anyway! Most of the year it’s not hard to avoid dye especially when red is the main culprit. Around Christmas, I start hearing the whining. “But mom just a little won’t hurt! 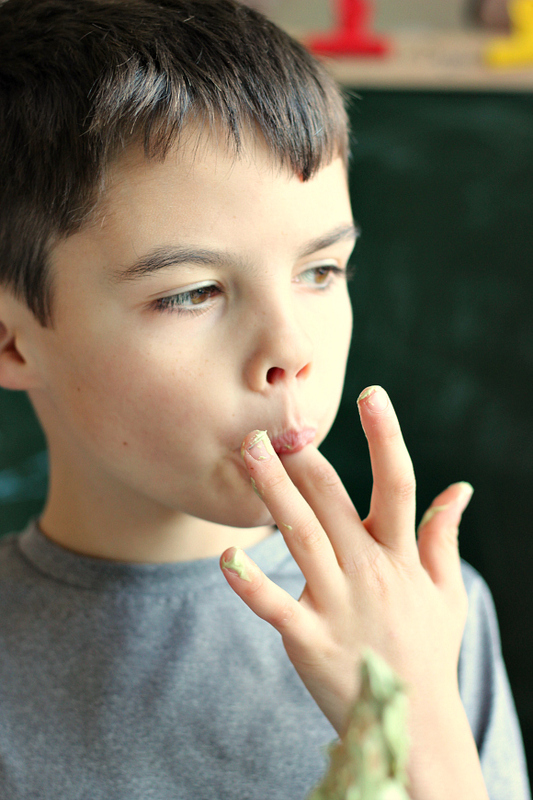 ” It’s true my son at 8 is starting to outgrow the hyperirritability that it seemed to cause but it’s so easy to let a little become a lot and why take the chance. We don’t have to anymore because over the years I have found wonderful alternatives. 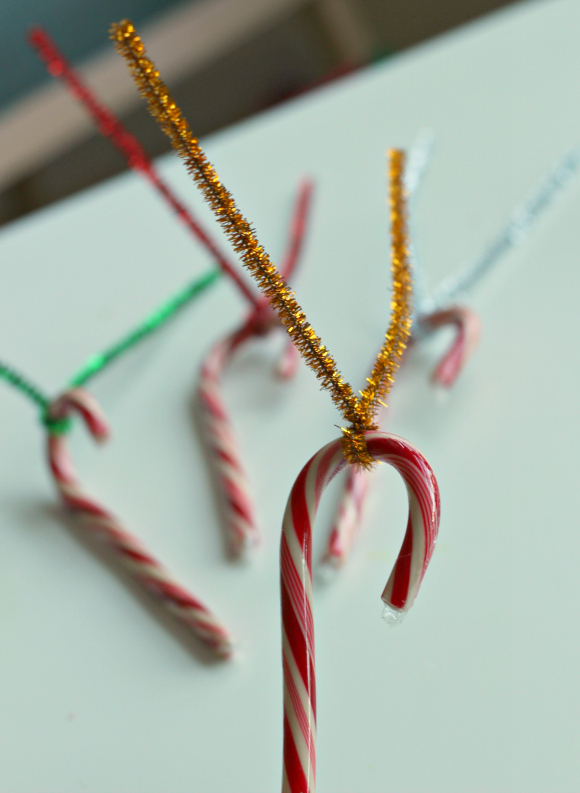 Here are two fun and classic Christmas treats with no artificial food dyes! 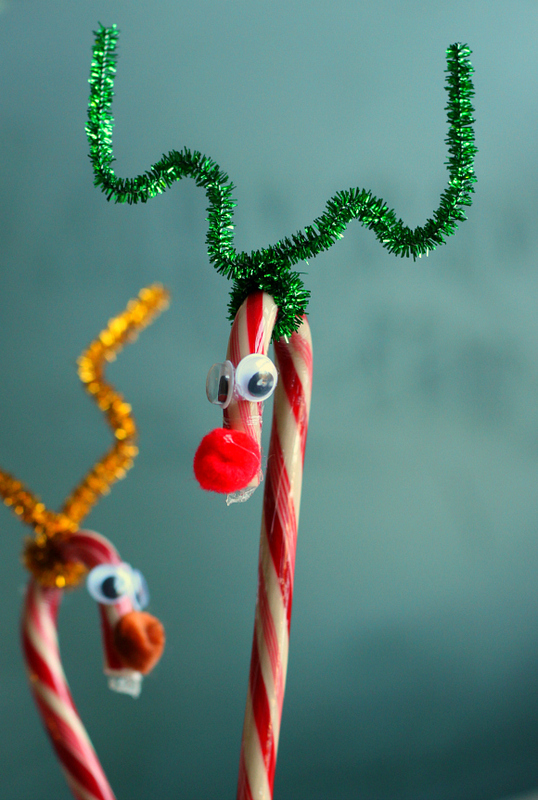 If you aren’t sure how to make these candy cane reindeer here is a quick tutorial. Gather your materials. 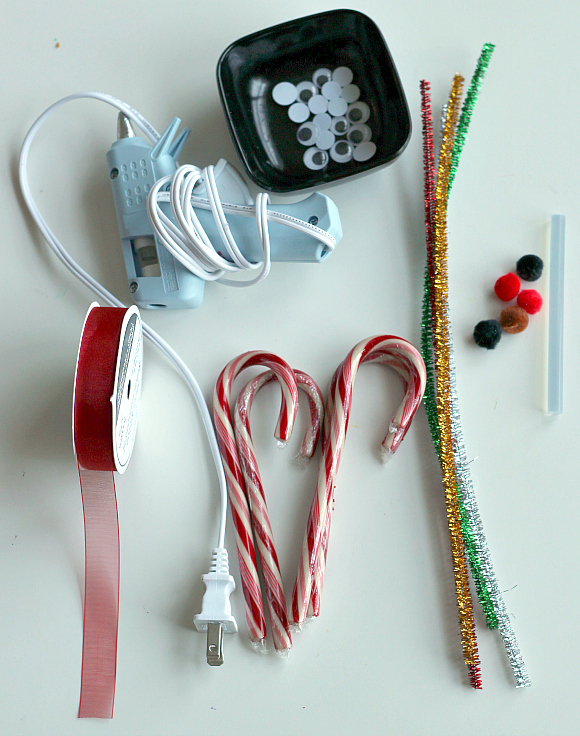 You will need some candy canes, pipe cleaners, pom poms, googly eyes and a hot glue gun. 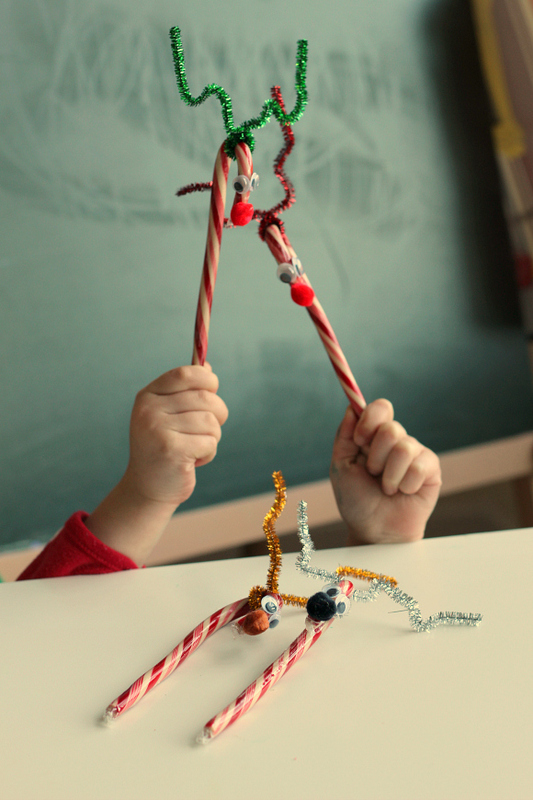 Add the pipe cleaners by wrapping it around the curved end of the candy cane twice and bending to make some antlers. 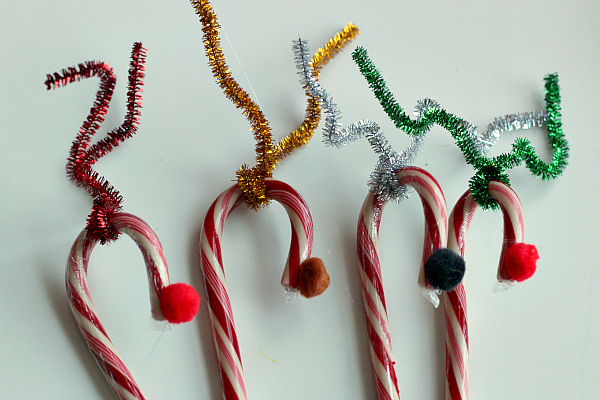 Squeeze a drop of hot glue to the end and place a pom pom on top. 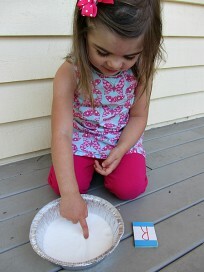 Add hot glue a little higher and pop on two googly eyes. Have a puppet show with them or, what we usually do with them, pop your reindeer on the Christmas tree. Ice Cream Cone Christmas Trees with Naturally Dyed Candies and Icing. 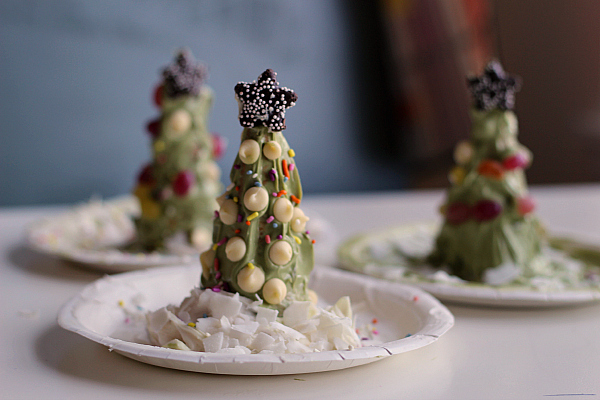 We did these ice cream cone Christmas Trees many years ago with artificial dye ( see how little my son is?) 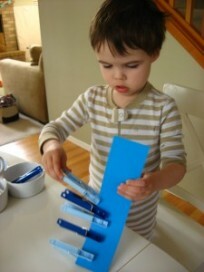 but it was before I discovered just how poorly my son reacted to all the artificial colors. I have been meaning to do it again with my daughter so this time we did it more naturally. Gather your materials. 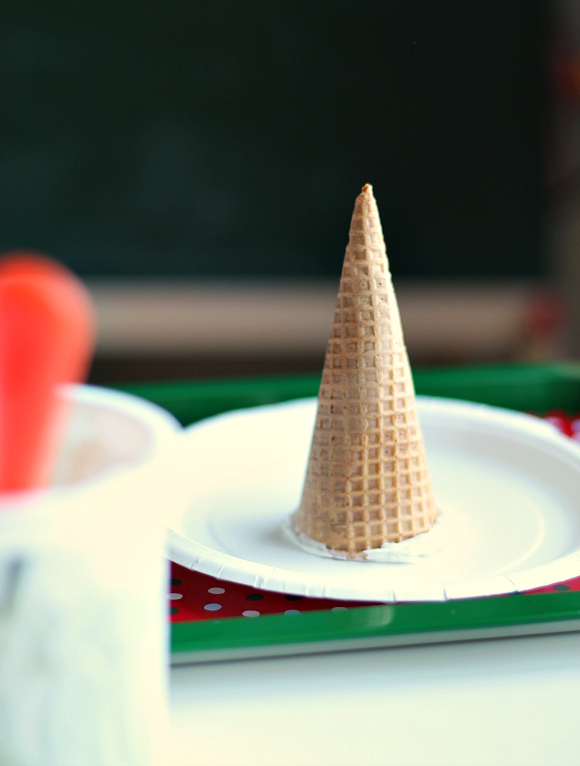 You will need some sugar cones. I didn’t check the ingredient list on these because my kids won’t eat it. They will pick off the candy and leave the tree. There are lots of all natural options out there, check out the shopping list below. You will also need some icing Wilton was dye free , and I used India Tree colors which are all natural to make the green. You will also need candy and stars for the top, two paper plates, some knives for spreading and my favorite candy holders… an ice cube tray. 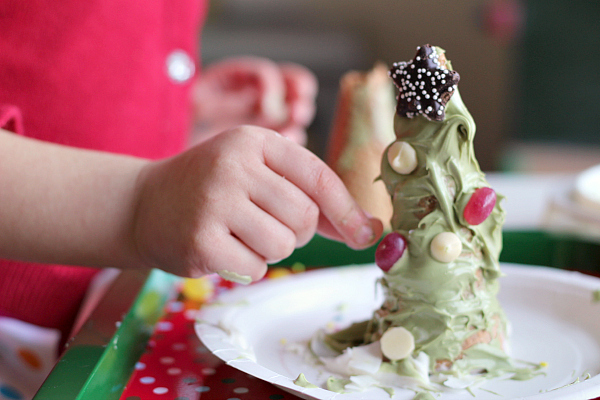 Start by spreading some white icing on the bottom and sticking the tree on top. Ice the tree in green ( now natural dye isn’t as bright but my kids didn’t say a word about its lack of vibrancy). Taste a little here and there. Add the jelly beans, sprinkles and chocolate chips for ornaments. When you are done add more icing for snow with coconut for flakes! 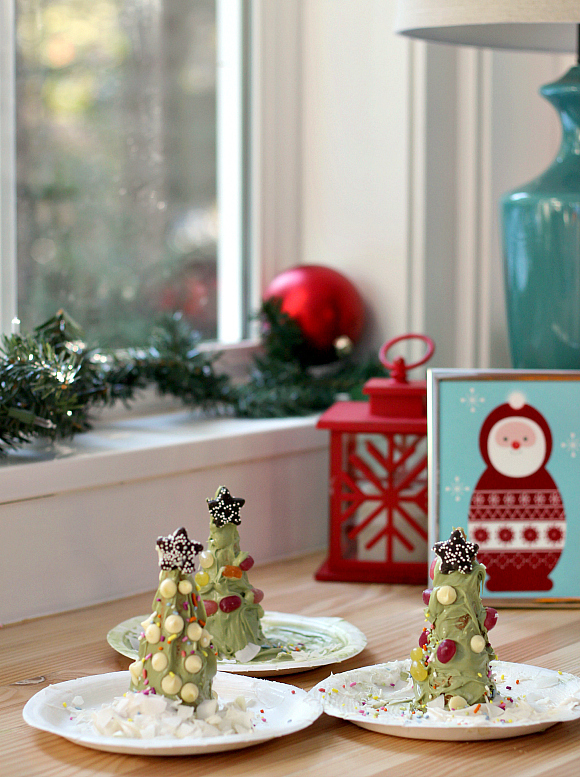 Use as a centerpiece for a holiday cookie decorating party or just to add to your decor. My kids ate theirs which was quite the treat. Thank you so much for this post. 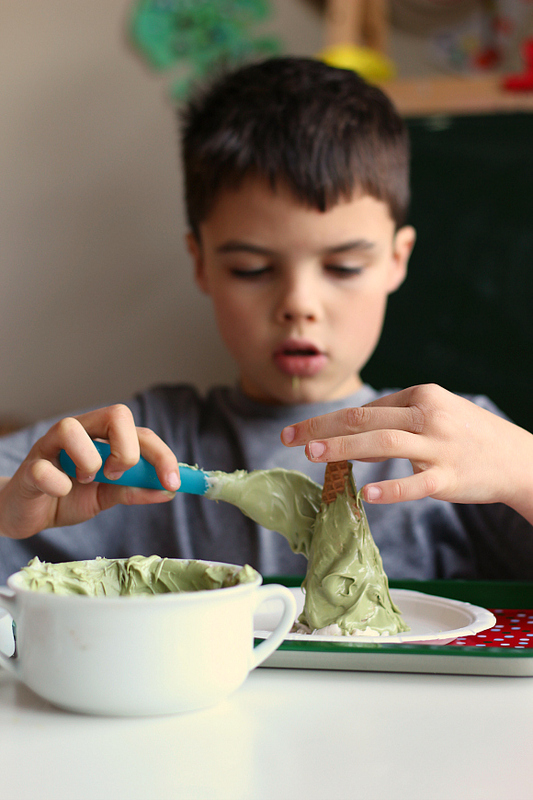 It’s great to see ways to do traditional gingerbread house-type things without artificial colors and flavors. I also think it’s important to bring awareness to this issue, which I believe affects more children then their parents realize. “Hyper irritability (occasionally bordering on insanity?!) is a good way to describe it. This is a hard time of year, what with holiday parties at school and the blogosphere exploding with treats. So thanks for including links and suggestions!